Hydroponics is a technology for growing terrestrial plants with their roots in nutrient solutions (water with dissolved fertilizers) rather than soil. 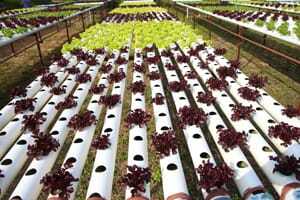 Hydroponic production is not mentioned in the Organic Foods Production Act (OFPA) of 1990; however, in 2010 the National Organic Standards Board formally recommended that hydroponic systems be prohibited from obtaining organic certification. In direct contradiction to the Board’s recommendations, the USDA’s National Organic Program has sided with industry lobbyists pronouncing that hydroponics is allowed. And, despite the objections of many organic stakeholders, some accredited certifying agents are certifying hydroponic operations. 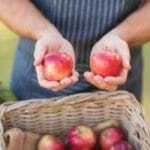 When the National Organic Standards Board (NOSB) first sought to define the term organic, in 1995, they did not consider the concept of growing organic crops without soil. The NOSB originally defined organic agriculture as “an ecological production management system that promotes and enhances biodiversity, biological cycles, and soil biological activity. It is based on minimal use of off-farm inputs and on management practices that restore, maintain, and enhance ecological harmony” [emphases added]. Given this definition, can the term organic be applied to soil-less systems, such as hydroponic crop production? Strictly speaking, the 1995 definition of organic would not only prohibit hydroponics, it would prohibit organic aquaculture as well. However, the NOSB has developed recommendations for organic aquaculture for aquatic animals (fish and shellfish) and plants. 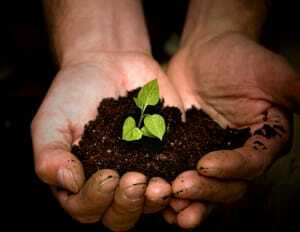 In fact, later definitions of organic removed the reference to soil. The later definition does not require that organic systems be soil-based, but it does require that organic methods include the use of biological practices that foster the cycling of resources. In a hydroponic system, terrestrial plants have their roots not in soil but rather in air, water, or an inert medium, such as peat, vermiculite, or coconut coir to which polystyrene beads or perlite may be added. The roots are immersed in water or periodically bathed with a nutrient solution (often containing synthetics). In contrast, the production of aquatic plants, such as the freshwater alga Spirulina, is not considered hydroponic production. It is aquaculture. When fish are added to the hydroponic system, it is called aquaponics—the integration of aquaculture with hydroponics. An aquaponic system fosters the cycling of nutrients because the nutrient-rich water from fish tanks is used to fertilize (or “fertigate”) the plants. 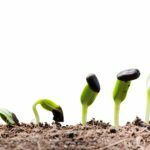 Fertility is generated from biological cycles, rather than off-farm inputs. 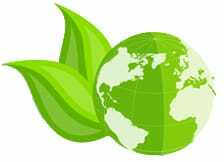 Plants act as biological filters, so that the water can be recirculated, and reused. It is considered a highly sustainable system. In hydroponics, fertility is usually generated from off-farm inputs. In 2003, the NOSB prepared a guidance document for hydroponics and other soil-less growing systems, but did not present any firm recommendations. At the Spring 2008 meeting, the Crops Subcommittee of the NOSB again led a discussion on guidance statements relative to limiting hydroponic systems to naturally aquatic plant species, but it was never voted on by the full NOSB. In 2009, the NOSB’s Crops Subcommittee presented a discussion item at the spring meeting which noted: “Hydroponics …certainly cannot be classified as certified organic growing methods due to their exclusion of the soil-plant ecology intrinsic to organic farming systems …” [emphasis added]. At the September 2009 meeting, the NOSB presented a recommendation for federal rulemaking, the addition of §205.209 Greenhouse Production Systems. The recommendation again stated a prohibition of hydroponic systems. After public comment was received, the Crops Subcommittee wrote a recommendation, Production Standards for Terrestrial Plants in Containers and Enclosures. The full NOSB approved the document, and made a formal recommendation, which was submitted to the NOP on April 29, 2010. This document is a result of years of work by the volunteers on the NOSB and public comment from organic stakeholders. The document recommended rulemaking action by the NOP. The recommended regulations state, in part: “Growing media shall contain sufficient organic matter capable of supporting natural and diverse soil ecology. For this reason, hydroponic and aeroponic systems are prohibited” [emphasis added]. Pennsylvania Certified Organic (PCA) and Oregon Tilth Certified Organic (OTCO) both supported the recommendation to prohibit hydroponics, citing the organic foundation of soil in organic agriculture. The Organic Trade Association (OTA) also supported the prohibition, citing that Canada prohibits hydroponic production from being certified organic. Although the full NOSB developed a recommendation to prohibit organic hydroponics in 2010, the NOP still has not adopted this formal recommendation. Because the NOP has not issued guidance or regulations, some accredited certifying agents (ACAs) have augmented their revenue stream by going ahead and certifying hydroponic systems in the meantime. The ACAs that certify hydroponic/aquaponic systems, or have done so in the past, include CCOF, OTCO, Quality Assurance International (QAI), Indiana Certified Organic, Midwest Organic Services Association (MOSA), and Organic Certifiers, Inc. 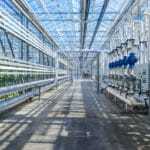 There may be others, but it’s impossible to fully determine if an ACA certifies hydroponic farms because they are not required to state whether an organic farm is producing crops hydroponically. This statement on the NOP website does not constitute a regulation or even guidance, but it does provide support for certifiers who wish to certify hydroponic production systems. It indicates that crop production can be considered organic even when terrestrial plants are grown in pure nutrient solution or in an inert medium. The NOP issued this statement in direct contradiction to the NOSB recommendation to prohibit organic hydroponic production. The NOSB recommendation was issued after much public discussion and input from the organic community, whereas the NOP statement was issued without public input and without regard for the accepted process of standards development. At this time, the USDA’s NOP still has not issued a proposed rule or established regulations based on the 2010 NOSB recommendation, nor has the NOP issued guidance to certifiers. This confusing situation means that certifiers must interpret the regulations on their own. This leads to a lack of uniformity, with some ACAs choosing not to certify hydroponic systems as organic because there are no hydroponic standards, while others accept organic hydroponic systems under the current regulations. At the 2014 Vermont Organic Farmers (VOF) annual meeting, members voted to pass a resolution stating “Vermont Organic Farmers demand that the NOP accept the 2010 NOSB recommendation to prohibit soil-less hydroponic vegetable production as certified organic.” VOF continues not to certify hydroponic operations and publicly supports the “Keep the Soil in Organic” petition (see text at bottom of article). At the present time, hydroponic growers are achieving organic certification without clear regulations that are specific to their ecological system. This situation needs to be remedied. If organic hydroponic production is to be allowed, the NOSB, with input from the organic community, needs to come to agreement on what type of hydroponic systems are acceptable for organic production. The current administration of the National Organic Program continues to allow the certification of hydroponic operations despite the recommendation from the NOSB that clearly states it is not compatible with organic production. The United States is one of the few countries that allows hydroponics to be labeled organic. Mexico, Canada, Japan, New Zealand, and 24 European countries (including Holland, England, Germany, Italy, France, and Spain) all prohibit hydroponic vegetable production to be sold as organic in their own countries. This means “organic” hydroponic producers in other countries are often growing exclusively for a U.S. market. Presently, the vast majority of the “hydroponic organic” produce sold in this country is grown in Mexico, Canada, or Holland. Citizens who expect organic crops to be grown in soil are encouraged to urge the National Organic Program to “Keep the Soil in Organic!” Sign the petition at www.keepthesoilinorganic.org. This story was previously published in the Spring 2015 Cultivator, Cornucopia’s quarterly newsletter.